There were two incidences why I made the decision over 40 years ago when disciplining children with spankings was considered acceptable to seek other methods. I will share one. When my daughter was six weeks old ... she had cried for six weeks. I was barely twenty years old and utterly exhausted. One night I had just drifted off to sleep when ... you guessed it ... the cry I had come to hate pierced the darkness. I got up ... went to the crib ... looked down at this little red face screaming her lungs out and ... thought to myself ... "To think we wanted you". I then got back into bed. Considering I was breast feeding my husband questioned my actions. I told him that he better do something because ... if I touched our beautiful baby ... I knew beyond a doubt I would do something I would regret. Tamiko received glucose water out of a bottle that night and I didn't care. All that mattered was that I was finally allowed to sleep. The next day formula was purchased as a supplement and a card of Dum Dums. Godsends! My point. What would have happened that night if I did not have back up? It's very sad. The searchers looked mainly to be FBI. I couldn't tell for certain, but it appears they didn't find anything. The search is over. one more than off to walk the dog. Kelsey's law has not passed in Missouri which would have allowed LEO to get cell phone records with pings asap. Another Boooo for solving Lisa's case. Some kids are more fuzzy than others. I had three, and my second just about drove me crazy with her 2:00am cries. I had a swing that someone gave me on her baby shower, and I would sit the baby in it (even at two weeks) to swing away in the middle of the night, cause if I put her down she would start crying again. That way I would get at least 15 minutes of sleep at a time. Turned out she had a hernia, so I never blamed it, but it was VERY HARD to care for her the first six months. Thanks for sharing that Janet. OT-I think most breast feeding Mom's would probably admit to one of those moments. I loved breast feeding, but it was clearly exhausting (every 2 hours.) I know I had a moment or two and if it wasn't for my hubby and a brand new breast pump, I think I would have had a melt down from lack of sleep. SHAWNEE, Kan. - The FBI confirms a search of a Johnson County landfill is connected to the case of a 10-month-old missing Kansas City girl. An FBI spokeswoman confirmed what NBC Action News first reported, that the search is in connection to the case of Lisa Irwin, who was reported missing Tuesday morning. Day four in the search for missing 10-month-old Lisa Irwin led investigators to search Deffenbaugh Industries' landfill. TheFBI says this is the second time authorities have searched the Johnson County, Kansas landfill. I may have missed it but was anything ever said again about the report of a man carrying a baby at 1 AM in the morning on a street near Lisa's home? "An early morning dumpster fire this week has lead investigators to search a Johnson County landfill for the third time in the Lisa Irwin case. Police said there was a dumpster fire at an apartment complex at 4897 NE 37th Street at 2:27 a.m. on Tuesday, October 4. The dumpster is less than a half a mile away from the Irwin home." "Investigators examined the trash from the fire two times. On Friday they examined it again. Also on Friday, police returned to the Johnson County Deffenbaugh Industries' landfill for the second time." 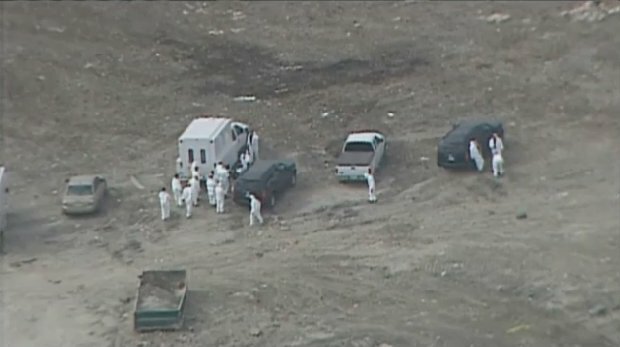 SHAWNEE, Kan. -- FBI agents, along with Kansas City police, searched a Johnson County, Kan., landfill Friday in connection with the case of missing 10-month-old Lisa Irwin, reported KMBC-TV. FBI spokeswoman Bridget Patton said agents were conducting a secondary search at the landfill at Interstate 435 and Holliday Drive. Investigators were also there on Tuesday looking for evidence. One neighbor told police that a stranger was seen walking a baby wearing only a diaper about 1 a.m. in the street by the baby's home. Young said this tip didn't pan out. An early morning dumpster fire on Tuesday led investigators to search a Johnson County landfill in the Lisa Irwin case. Friday's search was the second time investigators visited the landfill. Police said someone reported a dumpster fire at an apartment complex at 4897 NE 37th Street at 2:27 a.m. on Tuesday, October 4. The dumpster is less than a half a mile away from the Irwin home. 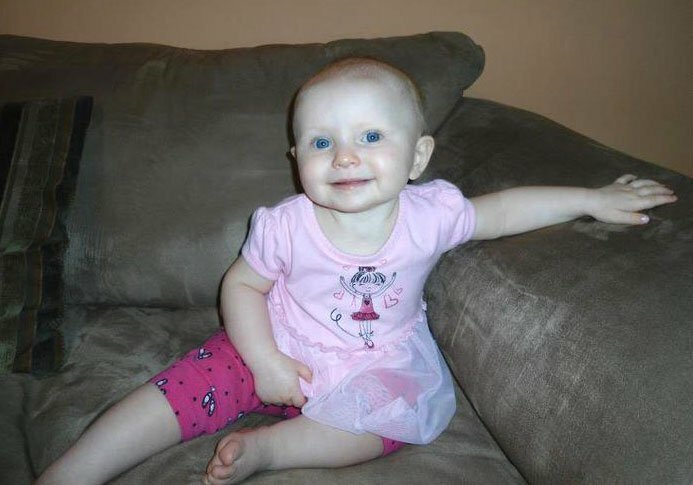 Ten-month-old Lisa Irwin was reported missing by her parents around 4 a.m. Tuesday. Investigators examined the trash from the fire two times. On Friday they examined it again. Also on Friday, police returned to the Johnson County Deffenbaugh Industries' landfill for the second time. After four days of searching, the investigation into baby Lisa's disappearance has taken several twists and turns. On Thursday, police announced in a hastily-called press conference that 10-month-old Lisa's parents stopped cooperating with investigators, a claim the family denies. On Friday afternoon, Kansas City Police Capt. Steve Young said they have not had contact with the parents since Thursday's announcement. RetiredFBI Agent Jeff Lanza said the parents' definition of cooperation is probably different than police's. "Police's definition of cooperation is to answer any questions that we post to you even if it focuses on you," Lanza said. "The couple's definition is, 'well, we'll cooperate, but not if it's focused on us." Late Thursday evening, FOX 4 learned Lisa's parents, Jeremy Irwin and Deborah Bradley, made a 'deal' with national news networks and would no longer be talking with local media. On Friday's Today Show, Deborah said police told her she failed a polygraph test. Bradley adamantly claimed that's impossible because she doesn't know where her daughter is. Lanza said failing a polygraph test doesn't mean someone is guilty. "If you've registered some deception, that's an indicator that you're not telling the truth," Lanza said. "However, it doesn't mean you're guilty. It's just an indication that you're deceptive about a particular question or questions on the polygraph exam." In the four-day search for Lisa, police have scoured the woods near the Irwin home, rappelled down embankments, looked in drainage ditches and on Friday, investigators turned their attention to Deffenbaugh's landfill. thank you Klaas for the picture. she is such a sweet little baby. You can tell by her pictures and body language she was gonna be walking all over the place real soon. I got a soft spot for baldy's. The search for missing toddler Lisa Irwin moved to a Missouri landfill today just hours after the girl's mother said police have accused her of doing something to her daughter. Kansas City police and FBI agents began combing through the Johnson County landfill known officially as Deffenbaugh Industries. "We were out there searching the landfill today," Bridget Patton, spokeswoman for the FBI's Kansas City Division, told ABCNews.com. When asked if the search was related to the disappearance of 10-month-old Lisa Irwin, Patton said, "Yeah, it's related to that." Patton said this was the second time this week the FBI has searched the landfill. Earlier today, Lisa's mother said that police accused her of having done something to her child. "From the start when they've questioned me, once I couldn't fill in gaps, it turned into 'You did it, you did it,'" Deborah Bradley told "Good Morning America." "They took a picture down from the table and said, 'Look at your baby! And do what's right for her!' I kept saying I don't know ... I just sat there. I didn't even ask to leave. I just let them keep asking questions." Bradley also said police accused her of failing a polygraph test. Police said they could not comment on this claim, but said Bradley is "free to say whatever she wants." Bradley, who sobbed through her interview with "GMA," spoke out after Kansas City police said Bradley and the toddler's father Jeremy Irwin had stopped cooperating. The parents told "GMA" they have not ended their cooperation with police. "If they say they're willing to continue speaking with detectives, I say great. Our door is open," Police Capt. Steve Young told ABCNews.com this morning. "Their involvement in the case is the best thing for this case. Our only goal is to find this little girl." Young said detectives would be happy to resume conversations with Lisa's parents, but added, "We still haven't heard from the mother or father as of this morning." Irwin said that he needed to take a break from the intensive questioning and soon saw a police press conference where they stated that the parents had ceased to work with police on the investigation. "We were in interrogated for a really long time Tuesday there again, answering questions….I just couldn't' take it anymore," he said. "I told them I had to have a break -- no more questions today. I asked to be let go, and they let me go from police station. An hour later was when we saw the press conference from them." "Like I've said before, the cooperation of the parents is -- they live in the house. They intimately have information of what's been going on. They know the child. They were maybe one of our best bets to help find this child," Young said. "This doesn't help the investigation." Thursday night police also shut down their outdoor command post and removed that crime scene tape that had been surrounding the house since Lisa's disappearance, but police insist this was not related to their claim that the parents were no longer cooperating. "It has nothing to do with the statement I made about the parents' cooperation," Young said. "We closed that down only because of geography." Young said the investigation is continuing with the same force but has simply moved to the police station as a matter of convenience. Police have said that they are still investigating what happened at the house Monday night when the baby, who the couple nicknamed "Pumpkin Pie," disappeared from her crib. Young confirms what the police have said since their initial questioning of the parents earlier this week, that they are not suspects in their child's disappearance.